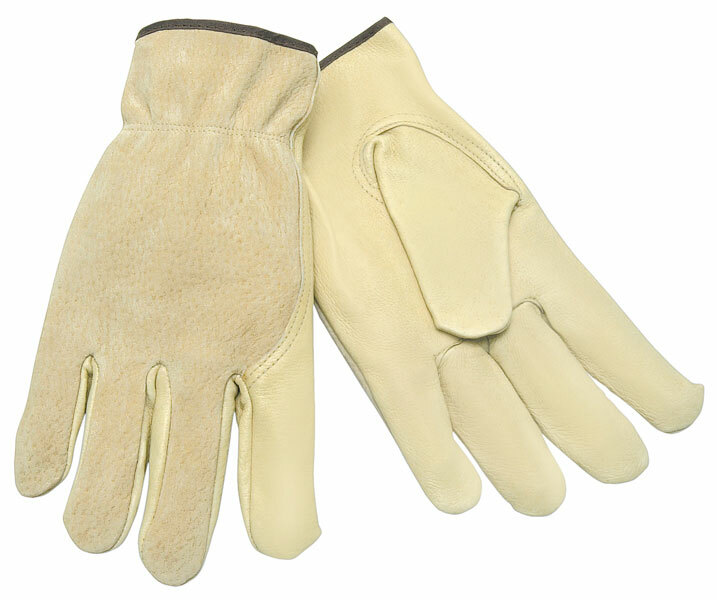 Pigskin gloves have excellent abrasion resistance. Offers greatest breathability because of the porous nature of the hide and becomes softer with use. Inherently retains natural softness after exposure to water. The 3405 features; Select Grade grain pigskin palm, split leather back, keystone thumb, and shirred elastic back.